IT’S wicked, comes from Skoda, and it’s the fastest Octavia ever built. The fire breathing 245hp (180kW) RS 245 – a new permanent edition to the Octavia model range that pulls a massive 370Nm of torque, is available as either a sedan or wagon, and built with a firm focus on track performance and technology. The RS 245 offers the Volkswagen Group’s award-winning EA888 2.0-litre turbocharged petrol engine, capable of performing the 0-100km/h sprint in just 6.6 seconds for the sedan and 6.7 for the wagon, with both body styles available with either a 6-speed manual or a 7-speed DSG transmission. 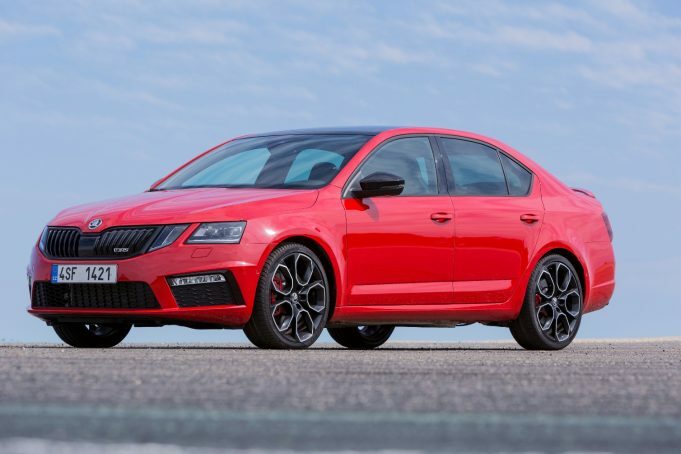 While the RS 245’s outright performance credentials are instantly apparent, the sporty Octavia’s adoption of an electronically controlled, limited-slip differential is the real draw card for the car, offering greater traction and stability in corners at high speed, ideal for spirited driving when conditions permit. It comes with a number of additional styling and equipment upgrades, including a leather and Alcantara-trimmed sports trim, which also feature electrically adjustable front seats with a driver’s seat with memory function; as well as auto folding and dimming door mirrors with environmental lights. The RS 245 commands an intimidating stance on the road with some exclusive design cues, too: 19-inch ‘Xtreme’ black alloy wheels, black exhaust pipe outlets, and RS 245 instrument cluster and door inserts adorn the vehicle in both sedan and wagon body style. Available in four colours, Corrida Red, Steel Grey, metallic Moon White and Pearl Effect Black Magic, the 2018 Octavia Rs 245 will hit Australian showrooms later this month, priced from $43,390 (plus on-roads). A range of option packs are also available. Customers who add the Tech Pack (at $2,300), will add automatic parking assist, adaptive chassis control, advanced keyless entry with smart start and alarm, a premium 10-speaker Canton sound system, and manoeuvre braking assist. Throw in the Luxury Pack (an additional $1,500) and you’ll also get lane assist, side assist with blind spot detection, and heated front and rear seats.